Welcome to Transportation Weekly; I’m your host Kirsten Korosec, senior transportation reporter at TechCrunch. I cover all the ways people and goods move from Point A to Point B — today and in the future — whether it’s by bike, bus, scooter, car, train, truck, robotaxi or rocket. Sure, let’s include hyperloop and eVTOLs, or air taxis, too. Yup, another transportation newsletter. But I promise this one will be different. Here’s how. Newsletters can be great mediums for curated news — a place that rounds up all the important articles a reader might have missed in any given week. We want to do a bit more. We’re doubling down on the analysis and adding a heaping scoop of original reporting and well, scoops. You can expect Q&As with the most interesting people in transportation, insider tips and data from that white paper you didn’t have time to read. This isn’t a lone effort either. TechCrunch senior reporter Megan Rose Dickey, who has been writing about micromobility since before the scooter boom times of 2017, will be weighing in each week in our “Tiny but mighty mobility” section below. Follow her @meganrosedickey. Consider this a soft launch. There might be content you like or something you hate. Feel free to reach out to me at kirsten.korosec@techcrunch.com to share those thoughts, opinions or tips. Eventually, we’ll have a way for readers to sign up and have Transportation Weekly delivered each week via email. For now, follow me on Twitter @kirstenkorosec to ensure you see it each week. There are OEMs in the automotive world. And here, (wait for it) there are ONMs — original news manufacturers. This is where investigative reporting, enterprise pieces and analysis on transportation will live. We promised scoops in Transportation Weekly and here is one. If you don’t know journalist Mark Harris, you should. He’s an intrepid gumshoeing reporter whom TechCrunch has been lucky enough to hire as a freelancer. Follow him @meharris. 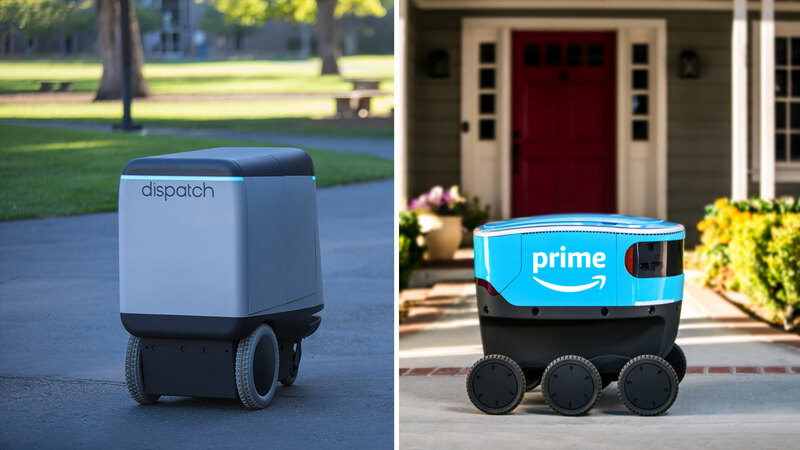 Remember way back in January when Amazon introduced Scout, their autonomous delivery bot? There was speculation at the time that Amazon had bought the Estonian-based company Starship Technologies. Harris did some investigating and discovered some of the intellectual property and technology behind Scout likely came from a small San Francisco startup called Dispatch that Amazon stealthily acquired in 2017. It’s time to stop thinking about Amazon as just an e-commerce company. It’s a gigantic logistics company, probably the biggest on the planet, with a keen interest — and the cash to pursue those interests — in automation. Think beyond Scout. In fact, wander on down this post to the deal of the week. Each week, transportation weekly will spend a little extra time on an approach, policy, tech or the people behind it in our “Dig In” section. We’ll run the occasional column here, too. This week features a conversation with Dmitri Dolgov, the CTO and VP of engineering at Waymo, the former Google self-driving project that spun out to become a business under Alphabet. Ten years ago, right around now, about a dozen engineers started working on Project Chauffeur, which would turn into the Google self-driving project and eventually become an official company called Waymo. Along the way, the project would give rise to a number of high-profile engineers who would go on to create their own companies. It’s a list that includes Aurora co-founder Chris Urmson, Argo AI co-founder Bryan Salesky and Anthony Levandowski, who helped launch Otto and more recently Pronto.ai. What might be less known is that many of those in the original dozen are still at Waymo, including Dolgov, Andrew Chatham, Dirk Haehnel, Nathaniel Fairfield and Mike Montemerlo. There is a huge difference between having a prototype that can do something once or twice or four times versus building a product that people can start using in their daily lives. And it is, especially in this field, very easy to make progress on these kinds of one-off challenges. I also use our cars every day to get around, this is how I got to work today. This is how I run errands around here in Mountain View and Palo Alto. An early investor, or investors, in Bird appear to be selling some of their shares in the scooter company, per a tip backed up by data over at secondary trading platform EquityZen. That’s not crazy considering the company is valued at $2 billion-ish. Seed investors should take some money off the table once a company reaches that valuation. We’ve heard that David Sacks at Craft Ventures hasn’t sold a single Bird share. We hear Tusk Ventures hasn’t sold, either. That leaves a few others, including Goldcrest Capital, which was the lone seed investor, and then Series A participants Lead Edge Capital, M13, and Valor Equity Partners. While you’re over at Twitter, check out this cheeky account @SDElevator. We can’t guarantee how much of the content is actually “overheard” and how much is manufactured for the laughs, but it’s a fun account to peruse from time to time. Another new entrant to the mobility parody genre is @HeardinMobilty. There’s so much to choose from this week, but Aurora’s more than $530 million Series B funding round announced Thursday morning is the winner. The upshot? It’s not just that Aurora is now valued at more than $2.5 billion. 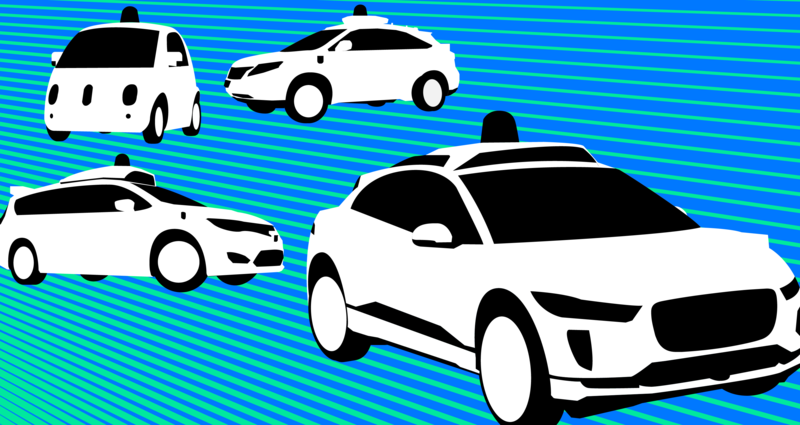 The primary investors in the round — Sequoia as lead and “significant” investments from Amazon and T. Rowe Price — suggests Aurora’s full self-driving stack is headed for other uses beyond shuttling people around in autonomous vehicles. Perhaps delivery is next. And believe it or not, the type of investor in this round tells me that we can expect another capital raise. Yes, Aurora has lots of runway now as well as three publicly named customers. But investors like Sequoia, which led the round and whose partner Carl Eschenbach is joining Aurora’s board, T. Rowe Price and Amazon, along with repeaters like Index Ventures (general partner Mike Volpi is also on the board) have patience, access to cash and long-term strategic thinking. Expect more from them. Speaking of deals and Tesla … the automaker’s $218 million acquisition this month of Maxwell Technologies got me thinking about companies it has targeted in the past. 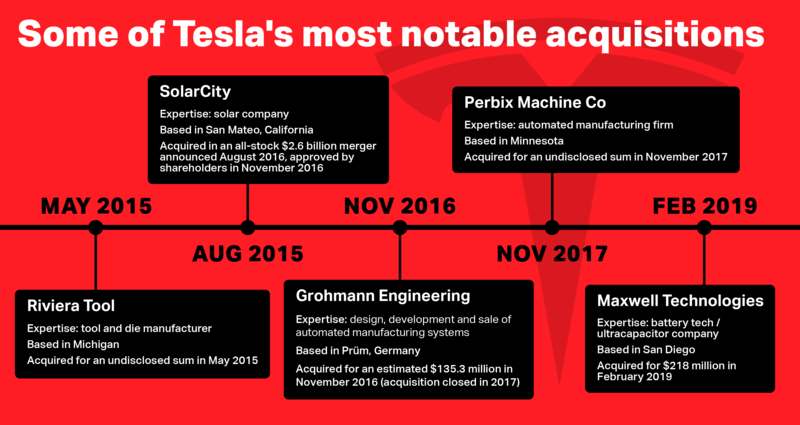 So, we went ahead and built a handy chart to provide a snapshot view of some of Tesla’s noteworthy acquisitions. One note: Tesla CEO Elon Musk tweeted in 2018 that the company had acquired trucking carrier companies to help improve its delivery logistics. We’ve dug in and have yet to land on the company, or companies, Tesla acquired. The deals that got away are just as interesting. That list includes a reported $325 million offer to buy Simbol Materials, the startup that was extracting small amounts of lithium near the Salton Sea east of San Diego. Between Lime’s $310 million Series D round and the seemingly never-ending battle to operate electric scooters in San Francisco, it’s clear that micromobility is not so micro. Lime, a shared electric scooter and bike-share startup, has now raised north of $800 million in total funding, surpassing key competitor Bird’s total funding of $415 million. Thanks to this week’s round of funding, Lime’s micromobility business is now worth $2.4 billion. Lime currently operates its bikes and scooters in more than 100 cities worldwide. Over in San Francisco, however, Lime has yet to deploy any of its modes of transportation. Since last March, there’s been an ongoing battle among scooter operators to deploy their services in the city. The city ultimately selected Skip and Scoot for the pilot programs, leaving the likes of Lime, Uber’s JUMP and Spin to appeal the decision. A neutral hearing officer has since determined SF’s process for determining scooter operators was fair, but the silver lining for the likes of JUMP, Spin and, most likely, Lime, is that the city may open up its pilot program to allow additional operators beginning in April. Two recent studies got my attention. The first is from Bike Pittsburgh, an advocacy group and partner of Uber, that published the findings from its latest AV survey based on responses from local residents. The last time they conducted a similar survey was in 2017. The takeaway: people there, who are among the most exposed to autonomous vehicles due to all the AV testing on public roads, are getting used to it. A bit more than 48 percent of respondents said they approve of public AV testing in Pittsburgh, down slightly from 49 percent approval rating in 2017. Some 60 percent of respondents claimed no change in their opinion, with another 37 percent claiming that it negatively changed their opinion. Nearly 3 percent claimed their opinion changed positively toward the technology. Bike Pittsburgh noted that the survey elicited passionate open-ended responses. The other study, “Securing the Modern Vehicle: A Study of Automotive Industry Cybersecurity Practices,” was released by Synopsys, Inc. and SAE International. The results, based on a survey of global automotive manufacturers and suppliers conducted by Ponemon Institute, doesn’t assuage my concerns. If anything, it puts me on alert. Pilots, pilots everywhere. A couple of interesting mobility pilots and deployments stand out. Optimus Ride, the Boston-based MIT spin-off, has made a deal with Brookfield Properties to provide rides in its small self-driving vehicles at Halley Rise — a new $1.4 billion mixed-use development in Virginia. This is an example of where we see self-driving vehicles headed — for now. Small deployments that are narrowly focused in geography with a predictable customer base are the emerging trend of 2019. Expect more of them. And there’s a reason why these are the kinds of pilots that will deliver the data needed to improve their technology, as well as test out business models — gotta figure out how to make money with AVs eventually — hone in fleet operational efficiency, placate existing investors while attracting new ones and recruit talent. Another deployment in the more conventional ride-hailing side of mobility is with Beat, the startup that has focused its efforts on Latin America. Beat was founded by Nikos Drandakis in 2011 initially as Taxibeat. The startup was acquired by Daimler’s mytaxi in February 2017 and Drandakis still runs the show. The company was focused on Europe but shifted to Latin America, and it has made all the difference. (Beat is still available in Athens, Greece.) 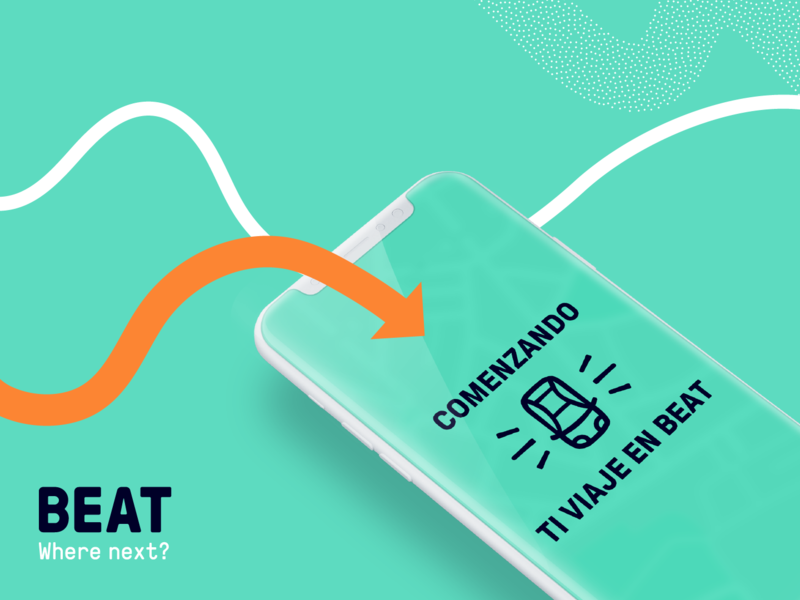 Beat has launched in Lima, Peru, Santiago, Chile and Bogota, Colombia and now boasts 200,000 registered drivers. Now it’s moving into Mexico, where more competitors exist. The company just started registering and screening drivers in Mexico City as it prepares to offer rides for passengers this month. TechCrunch spoke at length with Drandakis. Look out for a deeper dive soon. Until next week, nos vemos.